Printing Material: Teslin and PVC. (Enhanced to pass the bending test). Template in use: A new design was introduced to ensure the state of Illinois complies with the modernized and complicated security peculiarities of identification. We make both the revamped and the outdated versions of the license. Select ‘Illinois (NEW)‘ or ‘Illinois (OLD)‘ in our state list of the order form for your preferred version. This particular design has a very distinct set of lines, and we clone all the complex background micro-printed lines and patterns with exactitude. We replicate the portraiture of Lincoln along with the background images of the state seal. The outline of Lincoln’s suit and face to the circular pattern to the left replicates. A state seal illustration is in the background of the template located in the center. 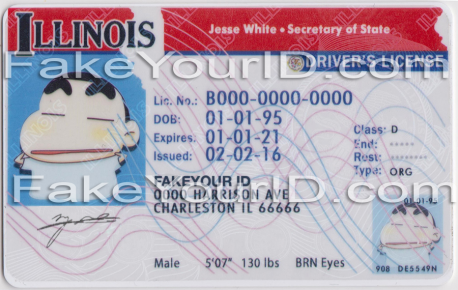 The laser-perforated outline of Illinois implants into the card and is visible at an angled look. A circular pattern encompassing the seal in blue is crucially replicated to give it a one-look passing characteristic. A ghost image of the license holder’s original photo of the front is visible on the back of the card in UV ink when exposed to ultraviolet light. 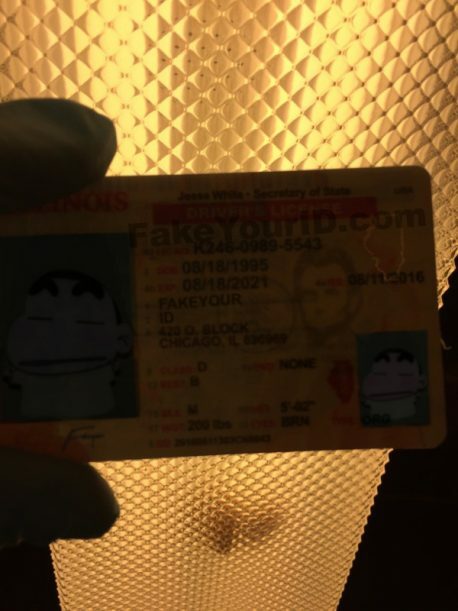 It comes with another duplicate photo of the cardholder on the lower right of the id. The older version comes with complex Guilloche pattern lines to improve the security of the card. The state outline ‘ILLINOIS’ repeating is visible when viewed under UV light comprising of the crucial holograms. 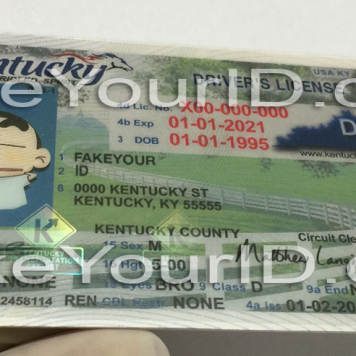 It comes with one and two-dimensional barcodes which contain the information of the cardholder’s license. 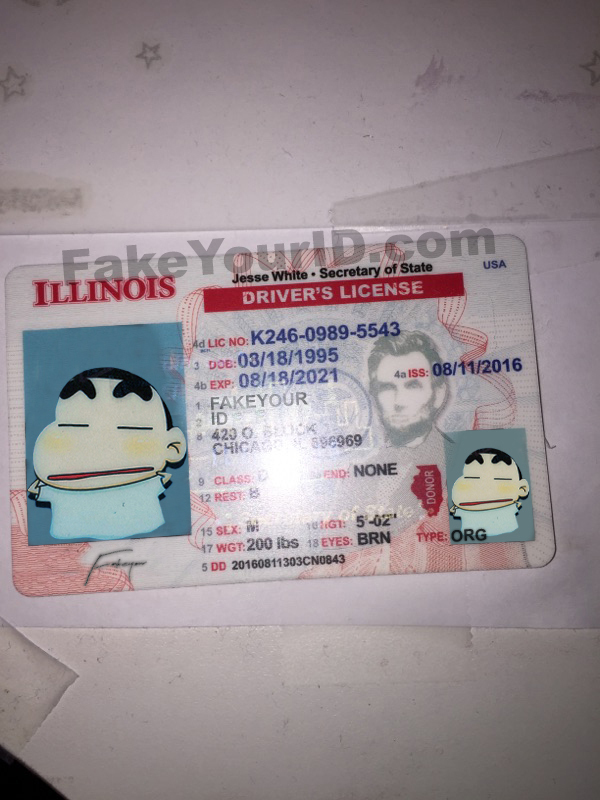 Illinois is a state which enjoys the perks of drinking liquor, and the underaged do not shy away from obtaining a fake to take pleasure of getting into bars and get drunk. 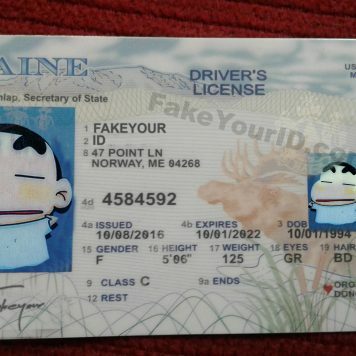 The fake id fraternity has praised the counterfeit ID cards of this state for passing flawlessly in nightclubs and drinking pubs. It not only has a good scanning rate inside Illinois but also in other states. 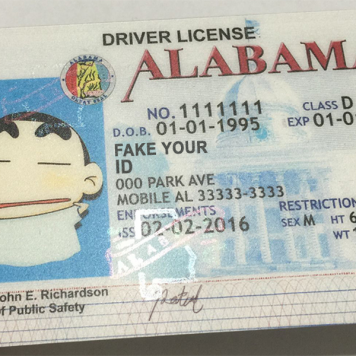 Four out of each ten orders that we receive on our website are for this license. 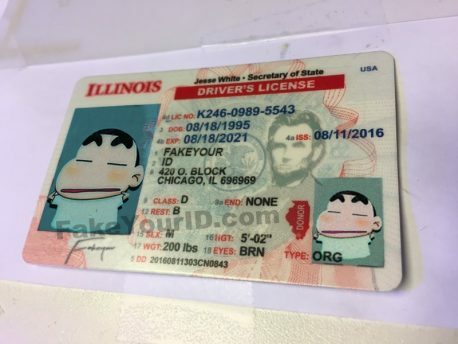 The Scanning success of our Illinois fake id depends on a number of factors.